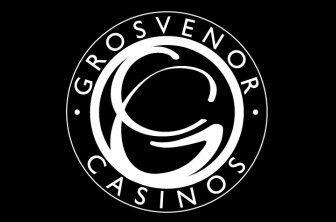 The Grosvenor Casinos at Queens Road is one of the hottest destinations for a night out in Reading. With games including Blackjack, Roulette, Super Stud Poker, Three Card Poker and 44 tables that offer slot games and electronic roulette you are spoilt for choice. The casino caters to every level of player and if you are new to the world of gaming, the friendly staff are happy help. The restaurant at Grosvenor offers a delicious selection of food complemented by an extensive range of wines. Watch the latest sports on plasma screens at the bar or just relax between games with a drink, the choice is yours. The casino is open from 2pm to 5am, Sunday to Thursday and from 2pm to 6am on Fridays and Saturdays. The restaurant at the casino is perfect for a special meal or even just a quick bite and features a full drinks list including wines, spirits and cocktails. If you fancy something different, don't forget to ask a member of the staff about the daily specials. The restaurant offers a set meal for £8.95 which consists of two courses, available Sunday to Thursday as well as buffet options for groups that are great value for money, starting at £5.95 per person. The casino offers their patrons three special packages that allows them to fully experience the casino at nominal rates. Try the Straight Flush Experience for new comers and the Full House Experience as the Royal Flush Experience if you are in a group and you can be guaranteed a memorable evening.